Canada Waterproofers Georgina is the No.  1 home waterproofing, plumbing and drain maintenance and repair company in the Greater Toronto Area. Homeowners call on us because of our reputation for quality service – built on 25 years of experience in the industry. We treat our customers with respect. We are open and transparent. In terms of a project, we only do what needs to be done. We operate in an industry where integrity and honest business practices aren’t the No. 1 priority with some. The technicians at Canada Waterproofers Georgina are licensed and insured. We use only the best materials and technology. Your house is our house – that’s how we see it. We do the job at the most affordable price in the business. Plus, in the end, we back up all our work with a fully transferrable, 25-year warranty. The world’s climate is changing. The climate crisis is impacting weather patterns and the water cycle in different ways. A higher rate of evaporation around the globe means more heavier rain and snow events. Our homes are vulnerable to water leaks and floods. If there is a flood in your home, that leads to mould and mildew. The negative health effects of breathing in mould spores are too numerous to list. Call Canada Waterproofers Georgina for a free, no-obligation assessment of your house. Our technicians will be able to scope out signs of water leaks. They will be able to give you an assessment of the state of your concrete floors, and give you an educated opinion on how your drainage system is operating. We can clear out a clogged pipe in no time at all. Foundation cracks soon lead to foundation repair. Your wet basement will soon be a thing of the past. Home floods are horrible and traumatic – but it all can be avoided. Tap into our 25 years of experience. Have a look at our client testimonials page for examples of people who vouch for our service. Remember, our work is backed up by a solid warranty. If you still have any questions after going through our website, don’t hesitate to call us and ask. In the end, our clients just aren’t a sales win. A project we undertake is a true collaboration. Thanks for visiting the website for Canada Waterproofers Georgina. We look forward to speaking with you soon.